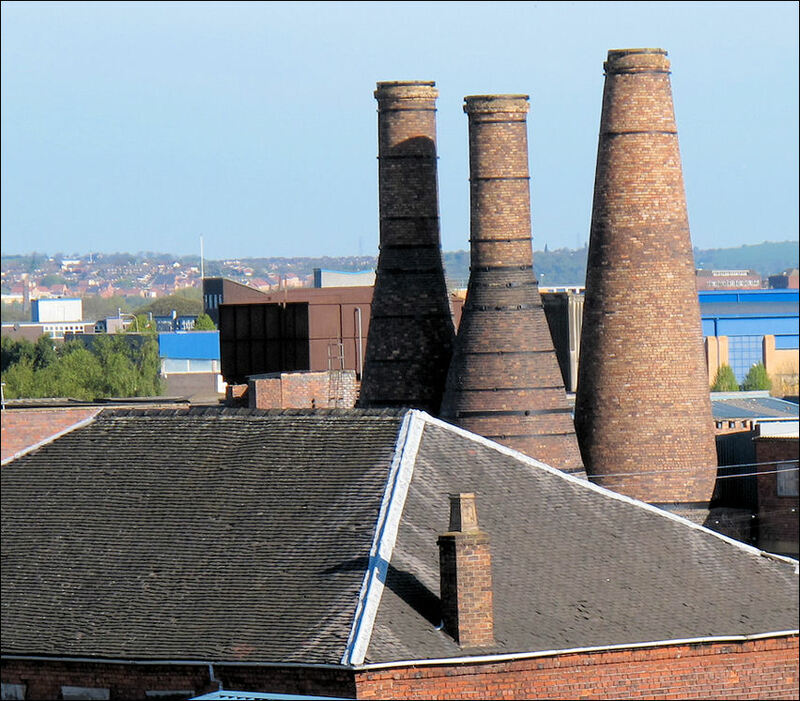 The factory occupied by Bourne, Baker and Bourne (and later by William Baker), stood on the north side of the turnpike road from Longton to Stoke. on the site of one of Bakers factories. and factory frontage have survived in what is now City Road. 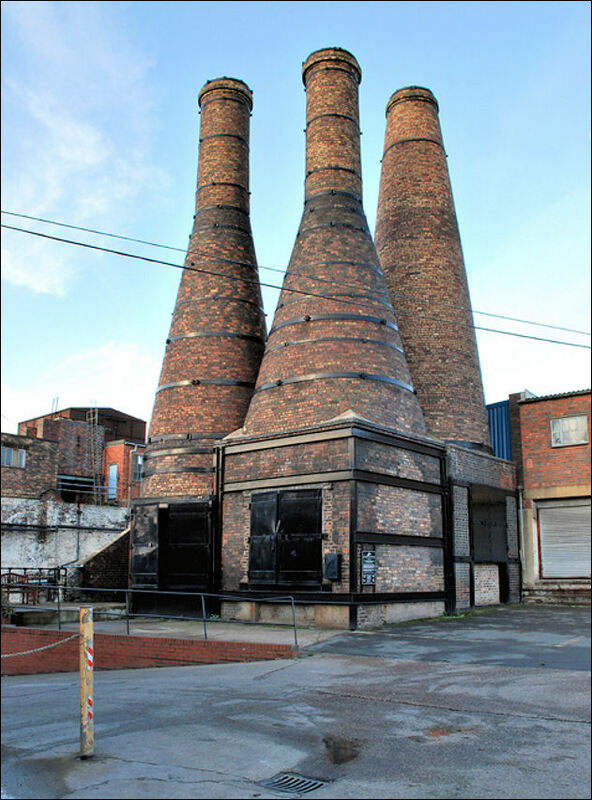 They were loaded with layers of coke and flint pebbles and fired for three days to render the flint friable. They were then unloaded below and the contents sieved to remove coal ash residue prior to conveying the fractured flints to the grinding pans. The finely ground flint could then be added by pottery manufacturers to their clays to give whiteness and strength to their finished products. 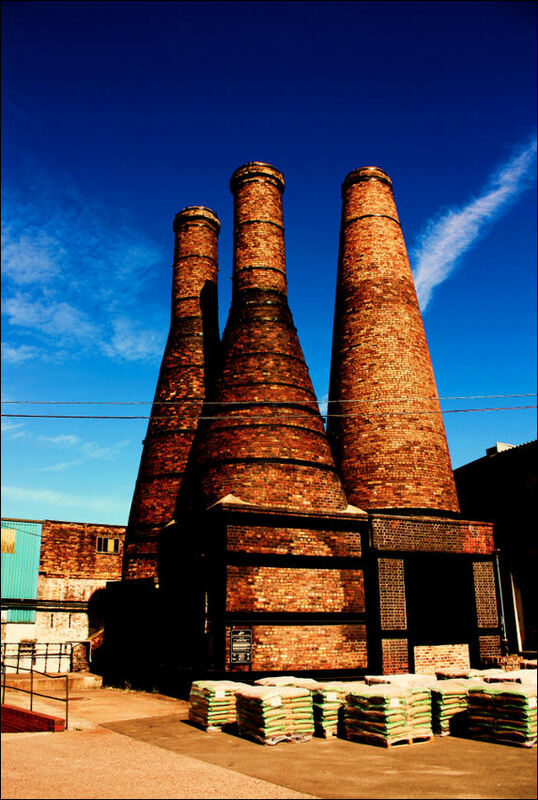 This site was originally part of a larger works owned throughout the 19th century by the Baker family of potters. 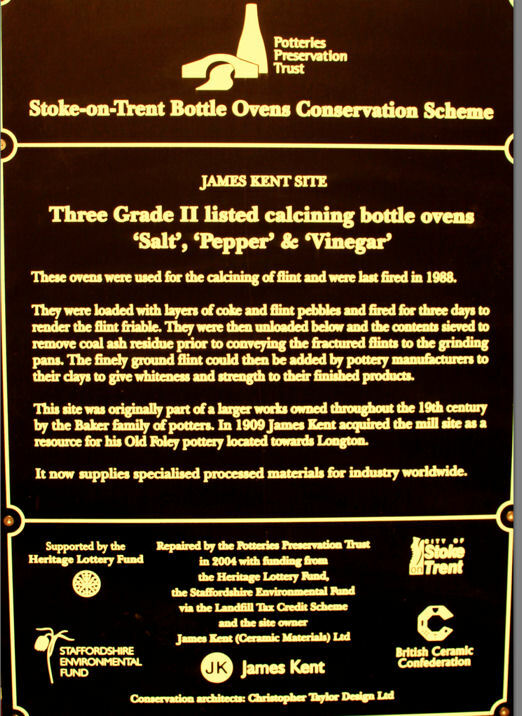 In 1909 James Kent aquired the mill site as a resource for his Old Foley pottery located towards Longton. It now supplies specialised processed materials for industry worldwide. 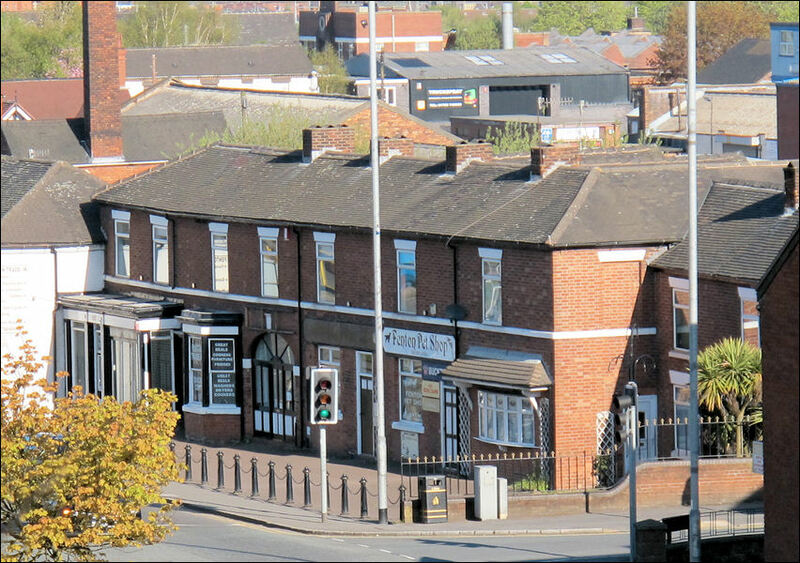 Lower Lane was an area of Fenton which lay along the Newcastle-Uttoxeter road (now City Road) as it passed from Longton through to Stoke. In 1775 Lower Lane and Lane Delph were among the most populated parts of the area.